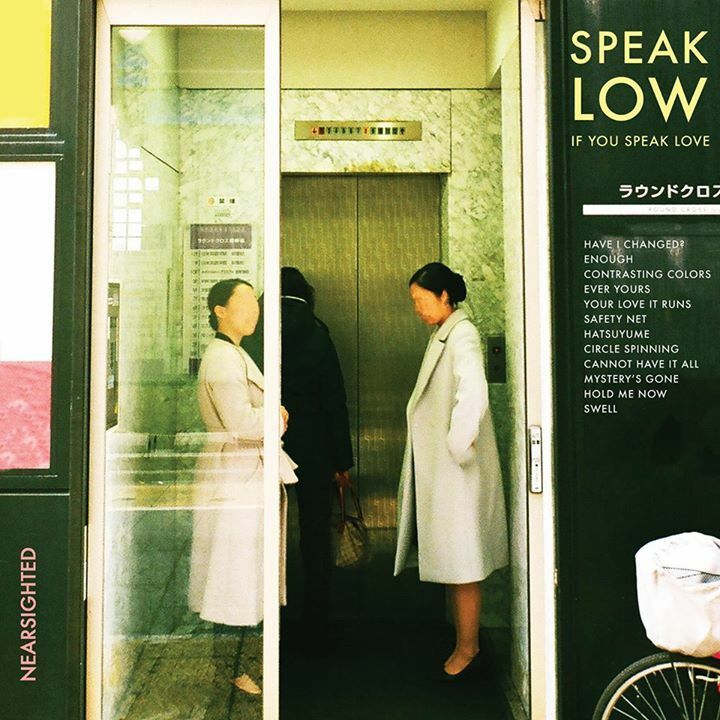 Album Review: Speak Low If You Speak Love - Nearsighted - GENRE IS DEAD! 2018 is already a big year for Speak Low If You Speak Love. Not only are they currently heading on tour as support for Neck Deep (you can buy tickets here! ), but they’re also about to release an album that is highly anticipated by fans, and rightfully so. We here at Genre is Dead! were able to get our hands on the upcoming record, Nearsighted, and I have a lot of feelings. I don’t mean this in a bad way, so don’t worry! When I say “I have a lot of feelings” I mean that Speak Low If You Speak Love has released all of my repressed emotions, but somehow in the best way possible. Before we deep dive, let me give you a little background on Speak Low If You Speak Love just in case you’re in the dark. This is the passion project of Ryan Scott Graham, who you may already know as the bassist for the prominent pop punk group State Champs (fun fact: they’re one of my personal favorite bands, not that you needed to know, but hey now we’re a little bit closer). If you’re expecting to find a similar sound here, then you are going to be surprised (but hopefully pleasantly). The multitalented Graham has ventured into indie rock territory that’s softer and now more experimental than what we have seen in his other venture. Speak Low If You Speak Love really reflects how artists don’t have to be confined to specific sounds. Music is always going to be full of growth and overlap, which is perfectly showcased in this sophomore album. Nearsighted pushes the boundaries of what we originally expected from Graham (i.e. acoustic indie rock) as it adds more outside elements. We still have the carefully crafted lyrical content that we’ve seen in previous works, but he has truly veered into another realm musically as he layers his original acoustic sound with full band elements as well as some experimental sounds (i.e. synth, electronic drums, woodwinds). Now don’t get me wrong, I’m the biggest sucker for some acoustic tunes, but the previous record left me wanting just a little bit more. However, whatever I felt like I was missing in Everything But What You Need was brought wholeheartedly in Nearsighted. Not to say that more effort was put into this set of songs than previous, but when you’re listening you really get a feel of just how much was considered when making this new album. You can truly hear every instrument for what it is and appreciate how it contributes into each song. I think this is especially prominent for me in the song “Contrasting Colors” as it transitions from the acoustic feel into a full on array of instruments. This reflects Graham’s growth as an artist in terms of sound. It’s like in the Wizard of Oz when it changes from black and white into technicolor. It was still just as beautiful as it was before, but now we are really seeing how much depth there is to every piece of what we’re taking in as we’re left with a sense of completeness. This album is so personal with honest and vulnerable lyrics that draw the listener in with songs about universal themes of love and loss and all that falls in between. In fact, I found myself replaying certain snippets from songs that especially resonated with me. One of my personal favorites in this regard comes in the form of the ballad “Safety Net”, a soft yet electronic tune with a surprise female feature. This song is somehow stripped down and dressed up at same time all while being wrapped in honesty surrounding a relationship. Additionally, another stand out for me, “Cannot Have It All”, was a song that rang just a little too true to me as, upon first listen, I found myself pausing after the opening lines “I’m afraid to fall apart/ I’m afraid to show that I’ve so many weaknesses/ I’m afraid of my own heart/ And what you’d find if I allowed you to go deeper in”. Needless to say, the nail was hit on the head in that one for me and I felt attacked, so thank you for that, Ryan. Just because a lot of these songs are heavy in theme doesn’t mean that you won’t find yourself wanting to groove. “Enough” and “Circle Spinning” especially are two tracks that I found myself taking dance breaks too with their catchy melodies and slightly faster paced feeling. On the other hand, tracks such as “Hatsuyume” and “Swell” were most reminiscent of Speak Low If You Speak Love’s previous work, except with just a little more too them musically. Through these combinations of themes and musical direction, I found myself feeling these strong, sad emotions and situations described by Graham, but also distracted from them by my awe of the layers of instrumental beauty. Overall, Nearsighted exceeded all of my expectations and it’s more than worthy of taking a listen to once it’s released. This album was so well thought out and executed that it’s hard to believe that it’s only the sophomore record from Speak Low If You Speak Love. Everything is done so intentionally that it’s clear that Graham isn’t afraid to branch out and take risks. This release proves that he is definitely serious about continuing to create through Speak Low If You Speak Love, and I am seriously loving it.